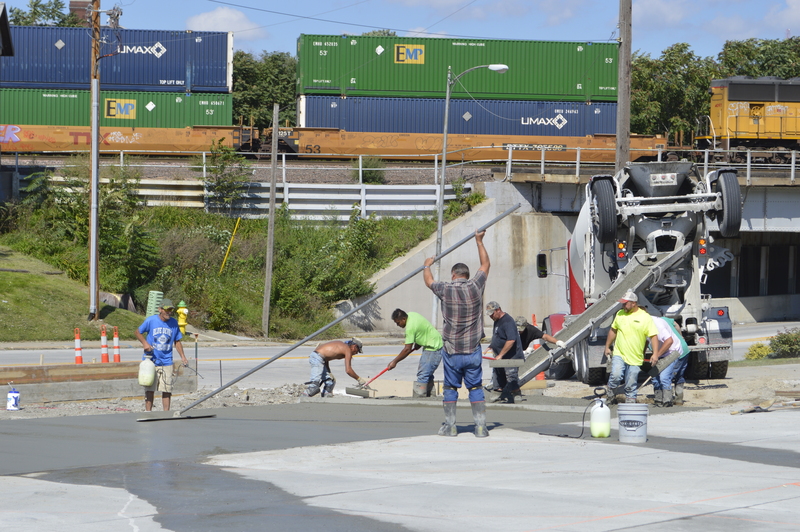 Note: This article originally appeared in "Concrete Facts Magazine" as the final installment in a four-part series on concrete buildup. Read the original magazine article here. To get up to speed, preview the first installment, "Dealing with the Reactivity of Aluminum Forms and Concrete," as well as its follow-ups, "Matching Form Release Agents to Application Methods" and "What Causes Concrete Buildup on Forms." We have reached the end of this series, and this final article is timely, as this time of year many contractors are burdened with hardened concrete buildup on their forms. The hardened concrete makes forms heavier and can lead to more buildup. Stripping the forms takes a long time, and if the forms do not strip easily, they can be damaged in the stripping process. Figure 1: Light buildup as a result of concrete abrading the form surface during placement. The buildup affects the resulting wall appearance, and this can lead to a whole new set of problems. In the last article we reviewed what causes concrete buildup on forms. You do not necessarily need to understand what causes buildup in order to remove it, but if you remove the buildup without understanding what caused it then you may find yourself with the burden of buildup immediately following your solution for removal. You can physically remove the buildup or you can chemically remove it. Each of these processes can be accomplished by taking the forms completely out of service and removing the buildup in its entirety, or by removing the buildup on an incremental basis between pours. There are several methods for physically removing the buildup, including chipping away with a hammer and chisel, grinding, using a rotary brush wheel or drum, or blasting the buildup with water or another abrasive blast medium. Complete physical removal requires taking the forms out of service for an extended period of time. Once the forms are cleaned, if they are aluminum, they must be re-seasoned. 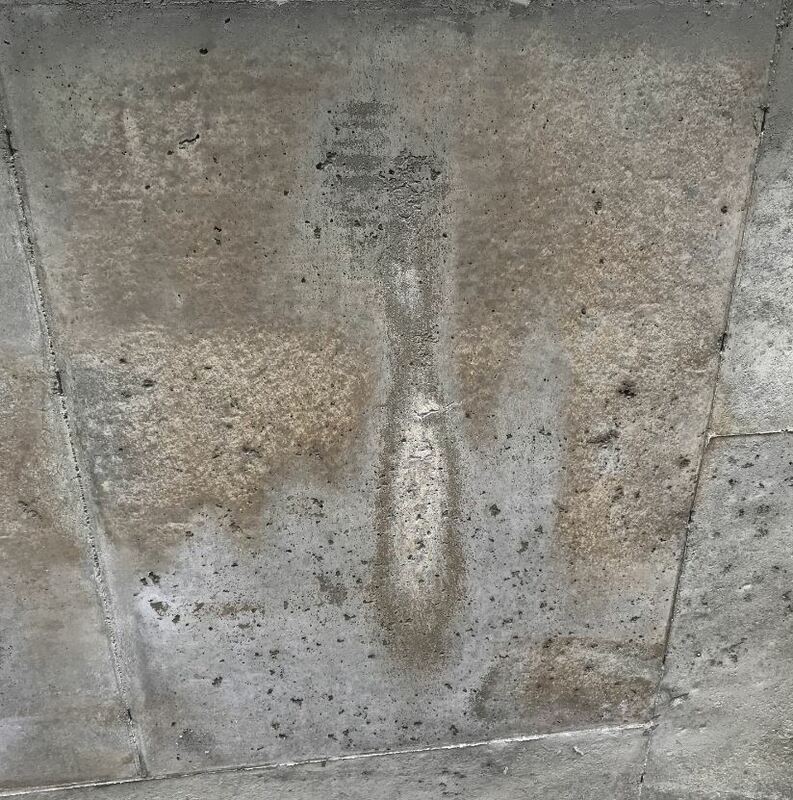 The use of a hammer and chisel to remove buildup is simply not a good choice, as it can damage the forms and leave visible deformations in the resulting concrete. 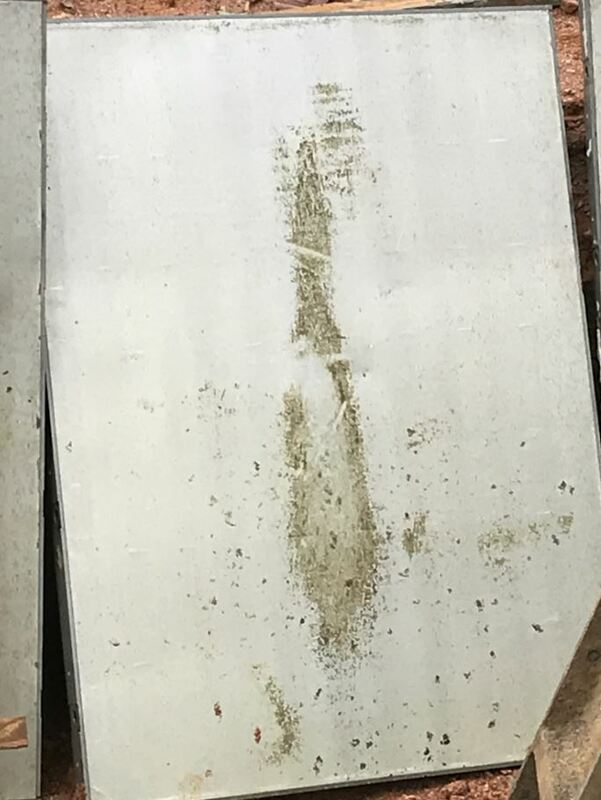 Grinding can yield a similar result, as it damages the forms and leaves grinder marks that become visible in the resulting concrete. Rotary brushes can be effective if the correct bristle composition is used, but this method is typically slow and not effective on anything other than very light buildup. 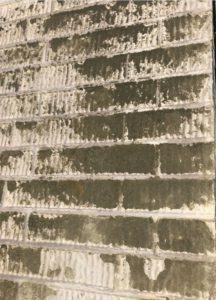 Physically removing the concrete buildup from form surfaces with water or abrasive blast media is the most common method for metal forms (aluminum and steel); and although it is the most expensive method, it is usually 100 percent effective. However, some types of blast media can pit or etch the forms, which can enhance the adhesion of any future buildup that might occur. In addition to the high cost, this process requires the re-seasoning of aluminum forms, not to mention the loss of productivity while the forms are out of service. 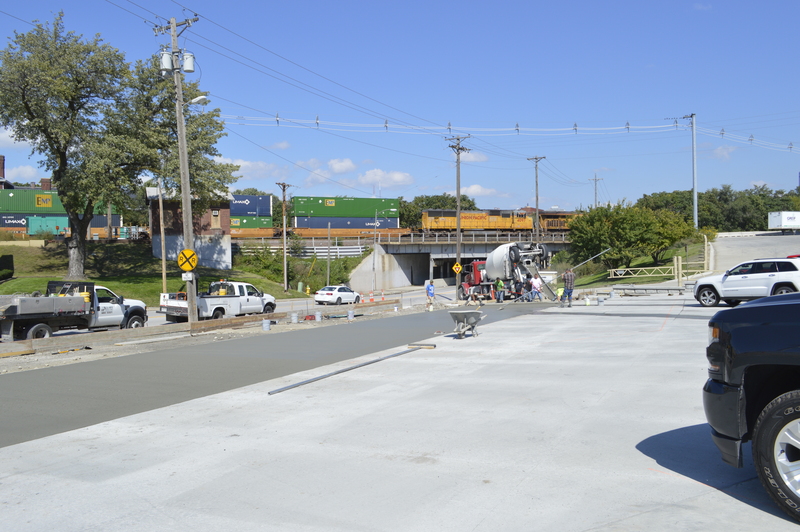 Figure 2: Resulting concrete finish. Using any of these removal processes on plywood forms could potentially damage or remove the thin overlays on the form surfaces. Although concrete cannot chemically bond to overlaid plywood forms like it can on aluminum forms, it still has the capability to physically bond to the overlays. While the physical bonds are not as strong as chemical bonds, extra care needs to be exercised in the removal of buildup, due to the delicacy of the overlay laminate surfaces. There are a myriad of processes for chemical removal, some of which are quite effective, while others are essentially ineffective on buildup – especially when the buildup is saturated with form oil or form oil reaction products. Form oil and form oil reaction products interfere with the chemical cleaner’s ability to dissolve the buildup and, consequently, they must be removed with some type of a detergent prior to applying the chemical cleaner. Some proprietary products have a built-in detergent to eliminate the need for pre-cleaning. This form oil needs to be removed with a detergent prior to acid cleaning, unless the acid-cleaning product contains a detergent. Figure 3: Heavy buildup saturated with form oil. Nearly all chemical removal processes utilize some type of acid to break down the buildup. Harsh mineral acids, such as hydrochloric acid (also known as muriatic acid in a diluted state), are very effective at removing the buildup, but will also remove the seasoning and are even capable of dissolving the aluminum. Because mineral acids are potentially harmful to the aluminum, extreme caution should be exercised to avoid permanent form damage. by form and air temperatures. None of these chemicals can be used at temperatures below freezing, and their performance is greatly reduced at temperatures between freezing and 50° F (10° C). For maximum performance, these products should be used in warm weather without direct sunlight exposure, which can dry out applied films before they have a chance to dissolve the concrete. Generally, all of these chemical cleaners require some degree of scrubbing and pressure washing for full effectiveness. These products are typically not cost- or performance-effective on buildup that is thicker than 0.125 inches (3.18 mm). Lastly, there are a few chemical products available that not only function as release agents, but also as buildup removers. These products are highly reactive form-release agents that can soften and ultimately eliminate hardened buildup through repeated use, as long as you have addressed what is causing the buildup. It is best to apply this type of product to the buildup as quickly after the forms are removed as possible. This will give the product the most amount of time to soften old buildup and will prevent any new buildup from continuing to harden. Correct use of a form release agent will help eliminate buildup over multiple pours; however, it is possible to get new buildup faster than you remove the existing buildup, or to continue to develop buildup on other areas of the forms, if you do not properly address what is causing it. As discussed in an earlier article in this series, most contractors are applying the release agent to the forms from the top of the forms – after the forms are set. This will reduce the effectiveness of the form release agent/build-up remover, and your results will be limited until your process is corrected. All clean form surface areas need light applications, and areas with buildup require heavier applications that effectively saturate the buildup. Low viscosity form release agents are most effective because they can penetrate buildup much better than thicker, or higher-viscosity, products. Form release agents will be the most effective way to deal with buildup on plywood forms, but again, if you are unsure what is causing the buildup, then there may be no added benefit to using a product of this type. 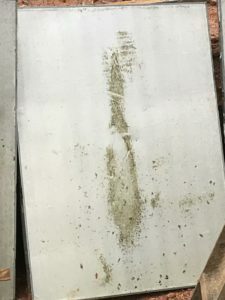 Concrete sticking to the plywood overlays can ultimately lead to the overlays sticking to the concrete upon form removal, so it is crucial to correct the cause, remove the buildup, and proceed with a process that will maximize the life of your forms. Due to their highly reactive nature, form release agents require careful application procedures and rates. In the end, the degree of concrete buildup, the weather conditions, how much time you have to get the forms cleaned, and how much you can afford to spend for clean-up will govern your decision on how to proceed. 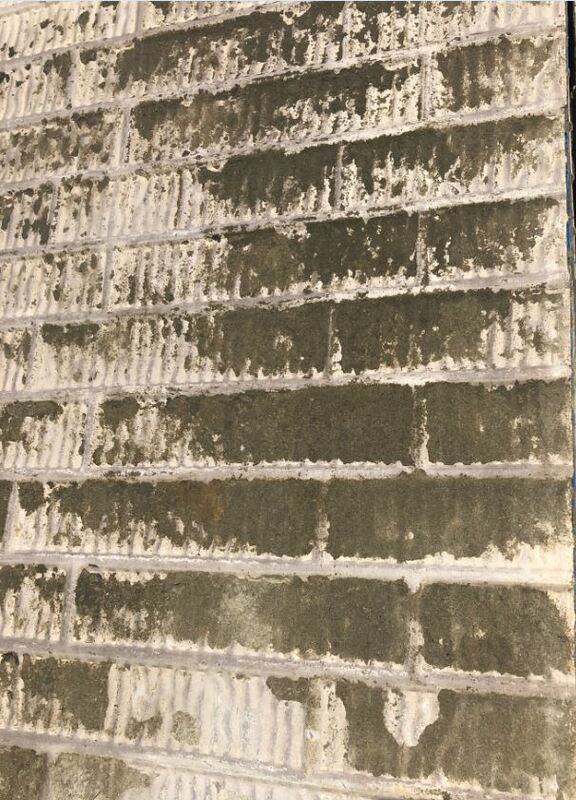 This entry was posted in Forming, Nox-Crete Blog and tagged how to remove concrete buildup on April 16, 2019 by Andrea Kemp. As the Nox-Crete team grows, the parking lot seems to be shrinking. 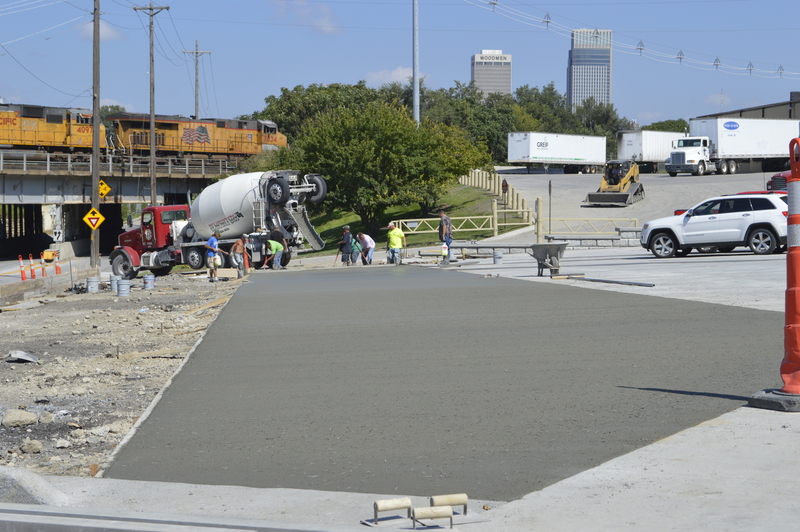 A parking spot became a prized commodity until a new expansion project was set into motion. 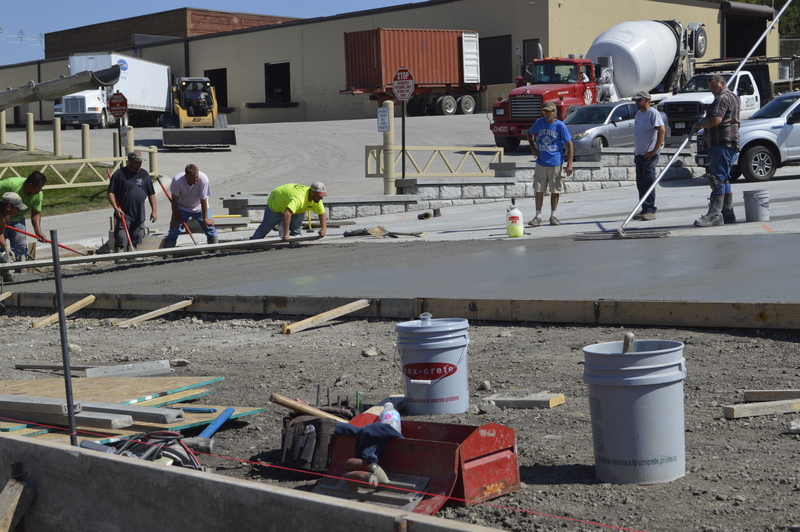 The bigger and better parking lot was poured in sections as the late summer Nebraska weather permitted. There's now an additional 10,000 square feet and parking stalls have doubled from 20 to 40. When it's all completed, the new parking lot will feature a secured gated entry and exit lanes to help with traffic flow. To achieve great results on this parking lot, the team used Nox-Crete Monofilm for evaporation control, Nox-Crete Res-Cure DH 100 as a curing agent and Nox-Crete Stifel for protection against water and salt. That combination is sure to provide lasting results for the new surface. This entry was posted in Nox-Crete Blog, Uncategorized on October 9, 2018 by Andrea Kemp. 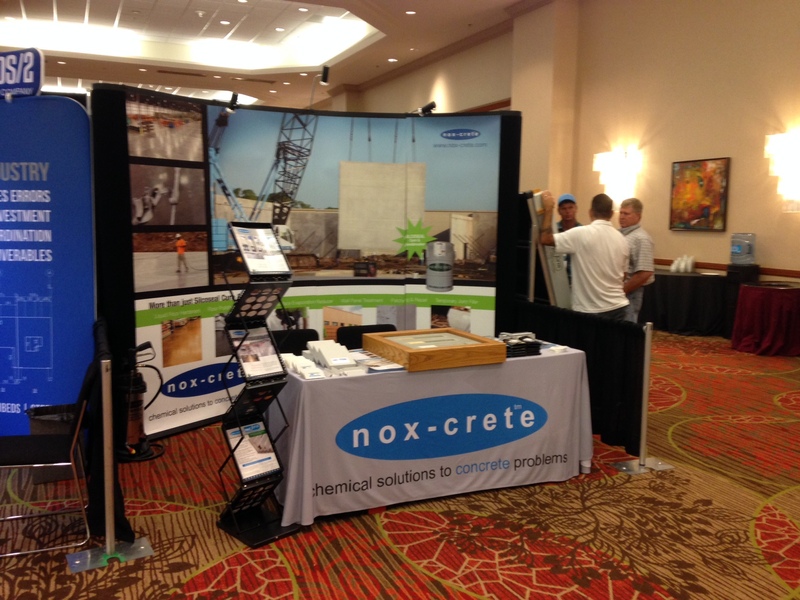 Nox-Crete is the Moldtech representative for the United States and Canada. For pricing and availability of Moldtech products, please contact Nox-Crete’s Precast Division at: precast@nox-crete.com or 402.341.2080. 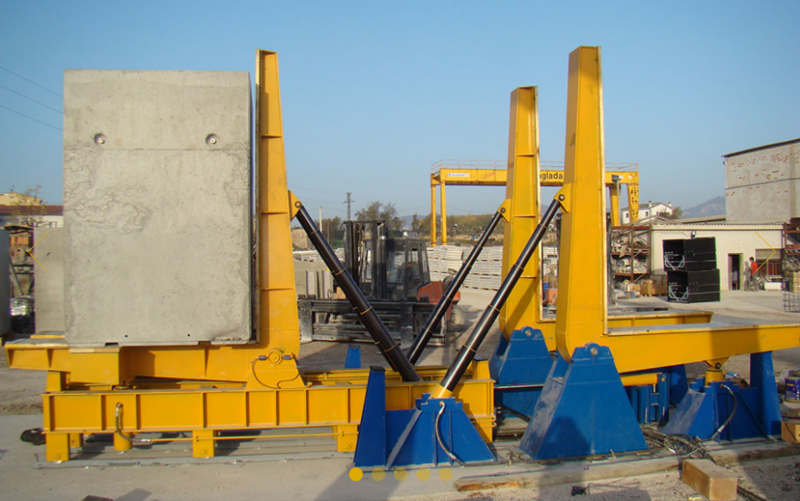 Manufacturing devices for turning large precast elements 180º is nothing new for Moldtech, manufacturer of forms and equipment for the precast and prestressed concrete industry. But these turners came with a maximum weight capacity of 55,116 lbs. At the request of Jensen Precast, Moldtech now has a turner with a 100,000 lb. weight capacity. Read more about this heavy-duty turner on Moldtech's blog. 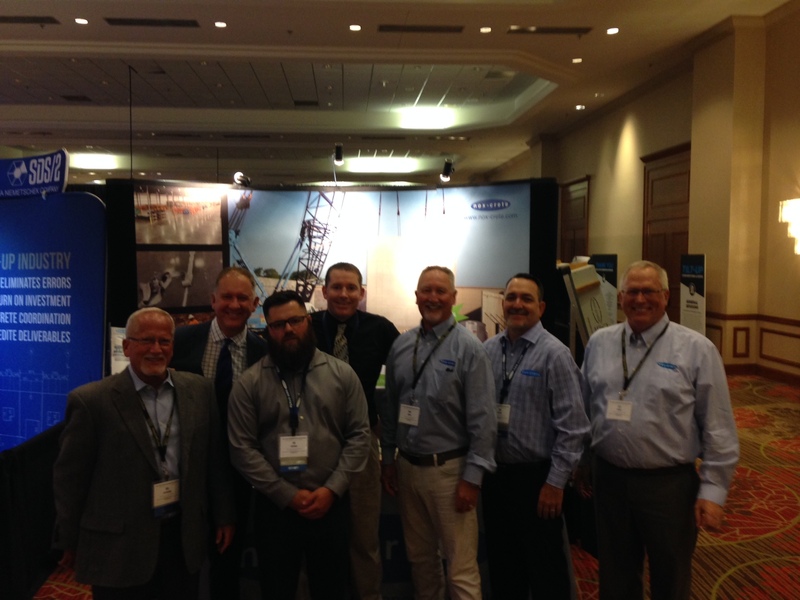 Remember, Nox-Crete is your Moldtech U.S. and Canada representative! This entry was posted in Nox-Crete Blog, Precast, Uncategorized on October 3, 2018 by Andrea Kemp. 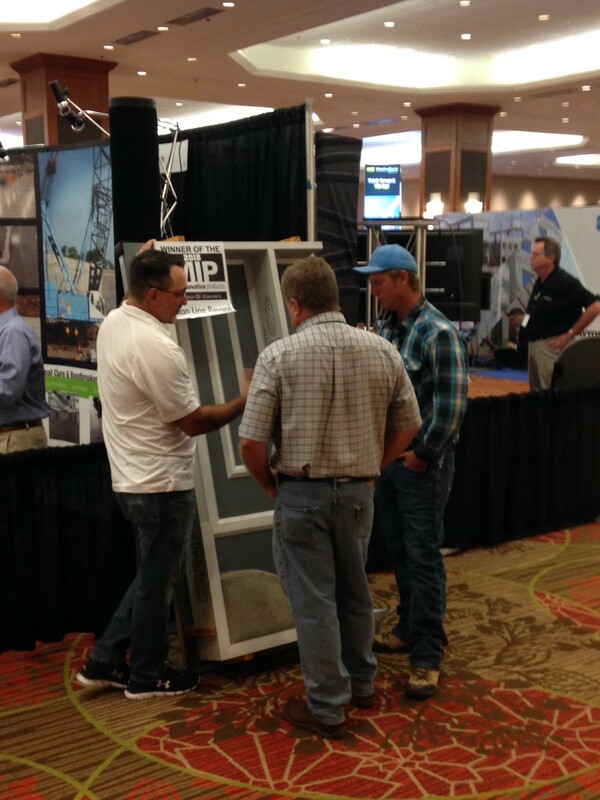 Attendees of the TCA Tilt-Up Convention & Expo in Dallas will find the best tilt-up products and the most knowledgeable tilt-up experts in the industry at the Nox-Crete booth, #301. Have a chat with our team to learn about our top-of-the-line PVC rustication strips, Clean Line Reveal, 2018 winner of the Most Innovative Products at the World of Concrete! Clean Line Reveal for tilt-up and precast is durable, easy to install and offers a clean release every time. Or let them show you PacForm, our laminated veneer lumber wall panel edgeform. In the market for a good bondbreaker, cure or joint filler? They can help you with that too! Stop by and see them Thursday September 20 and Friday September 21. This entry was posted in Nox-Crete Blog, Tilt-Up, Uncategorized on September 20, 2018 by Andrea Kemp. 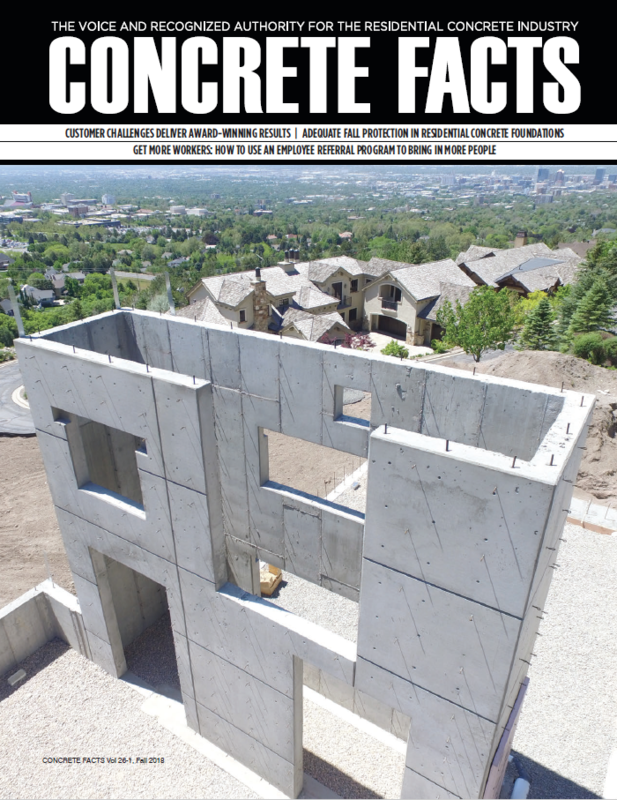 Forming Segment Manger Destry Kenning on Choosing the Right Release Agent in Concrete Facts Magazine! 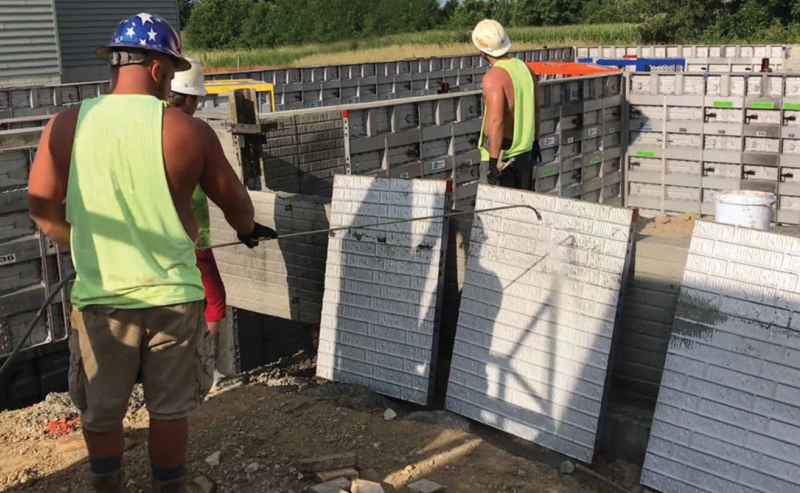 In part 2 of his 4-part series, Destry covers how to achieve the best results from your formwork by choosing the right release agent. It goes way beyond which standalone product is best. How, when and on what you apply it are all things to consider in choosing the best product for the job. 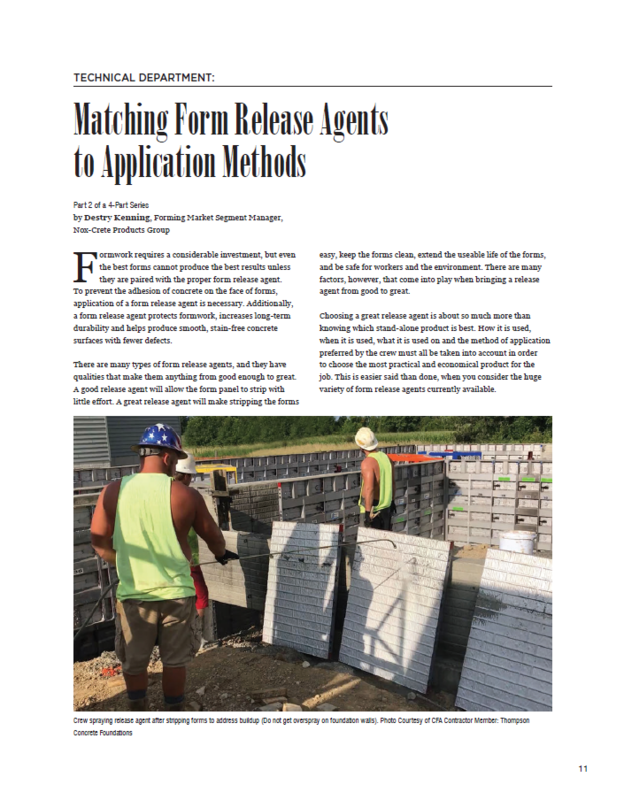 Read "Matching Form Release Agents to Application Methods" in the Fall 2018 issue of Concrete Facts magazine! Check out Destry's latest article right away and also have a look at Alumi-Nox R to reduce build-up and improve appearance! 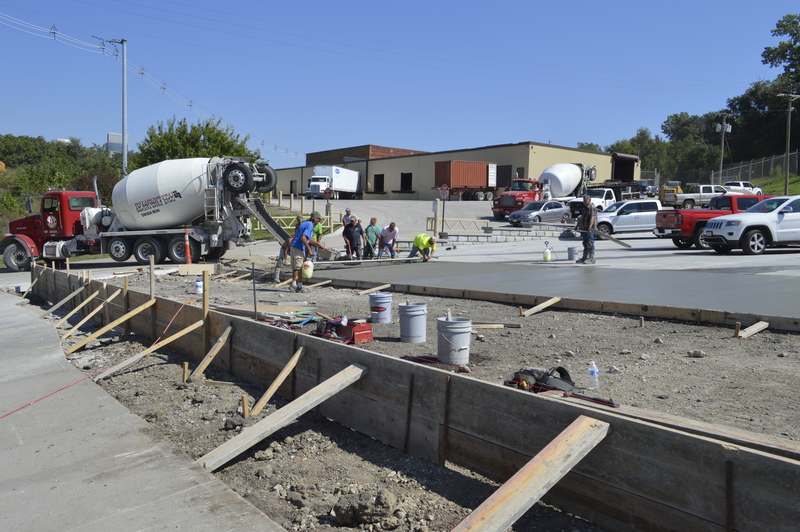 Then, to see what Nox-Crete can do to help you achieve smooth forms, contact Destry at DKenning@nox-crete.com or 402-504-9232. This entry was posted in Forming, Nox-Crete Blog, Uncategorized on September 14, 2018 by Andrea Kemp.